N.B. At 800 meters, it is not the longest such arcade in Japan. 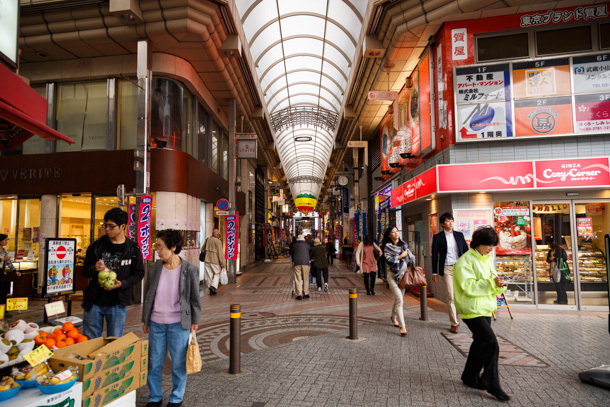 Both the Motomachi arcade in Kobe (1200 m) and the Tenjin-basji-suji (2000 m) in Osaka are longer, and possibly several other arcades in Kansai. This website is fantastic! Even though I’m from the Japan, I never imagine it is so friendly to pedestrian; and so excellent to shopping and enjoy. Thank you!